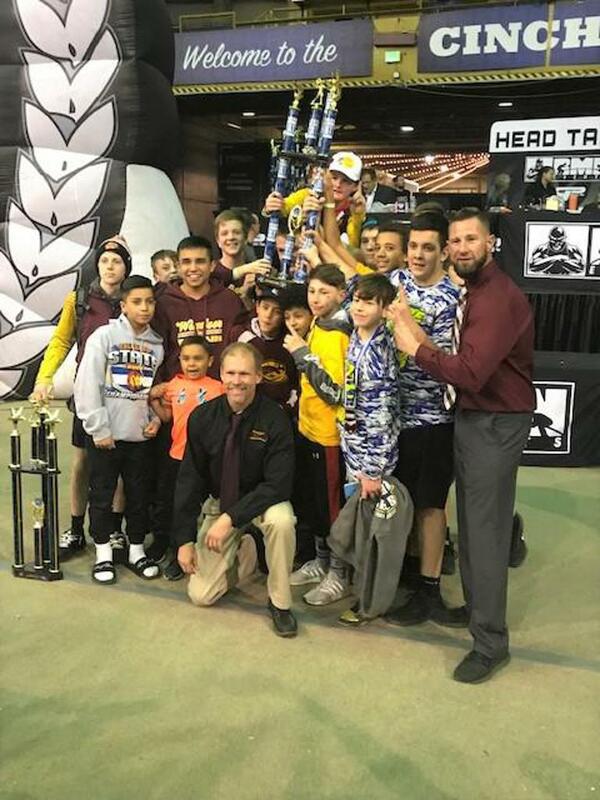 Since 2008, RMN Events has directly hosted a true middle school state championship, with wrestlers qualifying from 5-6 regions across Colorado. For nine of those twelve years, Windsor Middle School has come away with a team trophy. Head Coach Gary Mauch states: “This year’s tournament was the toughest one yet – also the closest, winning by only three points” over team runner-up Cheyenne Mountain. For the past two seasons, RMN Events has also held regional and state championships in separate divisions for wrestlers in K-1st, 2nd-3rd, and 4th-5th grades. The championship finals spotlight the best young grapplers in the state with 1st-4th places in K-5 and 1st-6th place in Grades 6-8. Windsor concluded its second consecutive undefeated middle school dual meet season with a 16-0 record, as Northern CO Athletic Conference and State Region 1 Champions, with dual team championships at Severance and Greeley, as well as invite titles at Brush and Platte Valley. The middle school championship finals were held on two elevated center stages. Leading the contestants out to the platform was Windsor’s own Dominick Serrano. A 2-time middle school champion (he was 3rd in 6th grade), Dom is now a 3-time Colorado high school champion (with one more year to go), boasting an overall record of 125-0. The nationally ranked Serrano is currently No. 6 in folkstyle and No. 2 in freestyle at 126 pounds.